Wild & High Collection Launched - Opening Pieces Now Available! This Friday we are thrilled to launch the opening pieces from our Wild & High collection. This first release is inspired by the folk tale The Teeny Tiny Woman. 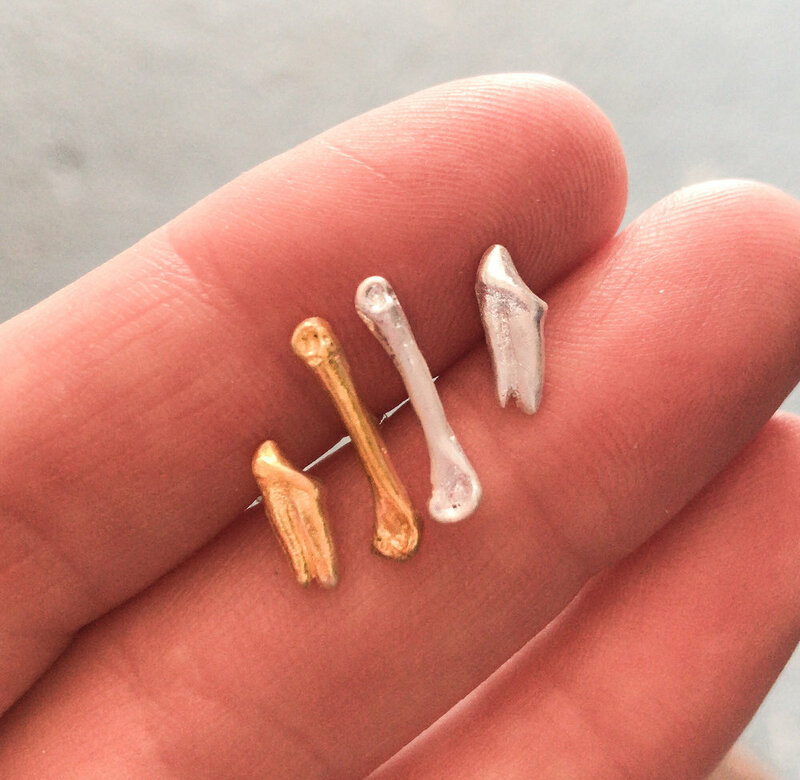 In early January of 2018, Hannah found the tiniest perfect rabbit bone whilst out walking on the fells near her studio, which led to the creation of the Teeny-Tiny series. Each piece is painstakingly hand-made to order in our own studio and individually hand crafted by Hannah from fine silver and solid 18ct yellow gold. We use found bones and teeth from native British mammals, and then breathe new life into them through the ancient technique of sand casting; each bone or tooth is hand-cast from the original. We only use fine silver and 18ct yellow gold for our castings. Each time Hannah makes a casting, she has to make a brand new mould. This is extremely small-scale craftsmanship... teeny-tiny, in fact. Did you know that to reach full melting point, 18ct gold must reach over 927ºC/1700ºF, and fine silver even higher at more than 961ºC/1762ºF?! When we open the cooled mould to inspect the new casting, it's not uncommon for a casting to be incomplete. This means that Hannah has to re-make the mould, re-melt the silver or gold, and re-cast right from the beginning. Each finished piece of jewellery from the Teeny-Tiny series takes around 2 hours to make, if everything happens as it should, and depending on complexity. Since each piece is individually made, there will naturally be small (teeny-tiny...) variations between them all. We inspect our finished castings very carefully, and only turn the ones which meet our strict standards into jewellery; those which we would be proud to wear ourselves. 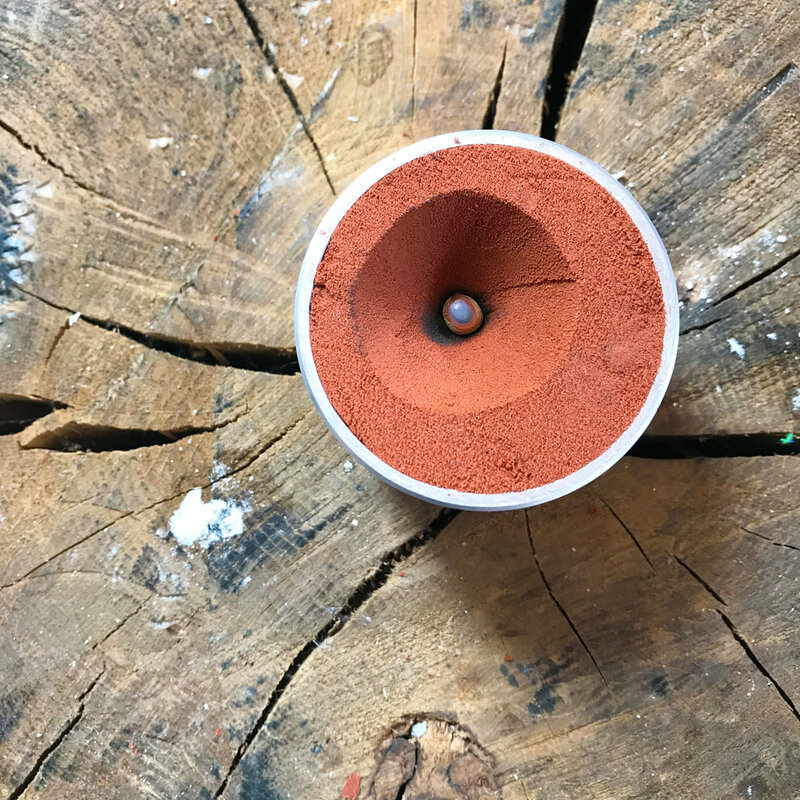 Our sand casting is a very eco friendly process; the casting rings are permanently re-useable, and we use the sand again and again (the only waste is the small burnt part). Most of the 18ct gold that we use is recycled, and our fine silver and gold can be re-melted and refined as many times as we need; incomplete castings are simply re-melted! We have a limited number of 18ct gold necklaces with natural faceted tourmaline droplets. The tourmaline pieces are all one-offs, and the ones you see in the photographs are the one you will receive. 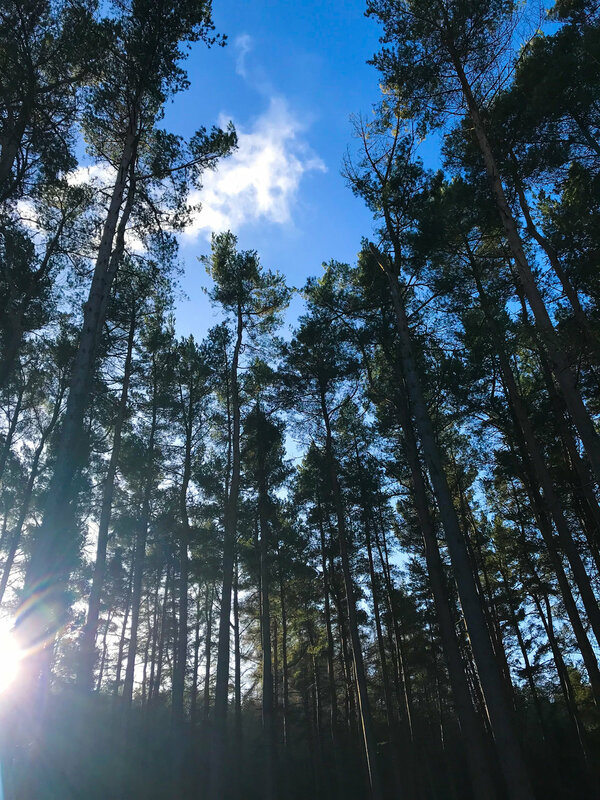 Each piece is made to order but since everything is made in-house and made by ourselves, we can control every step of the process; meaning no lengthy waiting times! Please allow around one week for us to make your jewellery for you. Once upon a time there lived a teeny-tiny woman who lived in a teeny-tiny house, in a teeny-tiny village. Now, one day this teeny-tiny woman put on her teeny-tiny hat and her teeny tiny coat, and went out of her teeny-tiny house to take a teeny-tiny walk. Whilst this teeny-tiny woman had gone a teeny-tiny way, she came to a teeny-tiny stile, and so the teeny-tiny woman climbed the teeny-tiny stile, and went into a teeny-tiny churchyard. And when this teeny-tiny woman was standing in the teeny-tiny churchyard, she saw a teeny-tiny bone on a teeny-tiny grave, and the teeny-tiny woman said to her teeny-tiny self, ‘This teeny-tiny bone will make me some teeny-tiny soup for my teeny-tiny supper.’ So the teeny-tiny woman put the teeny-tiny bone into her teeny-tiny pocket, and went home to her teeny-tiny house. And this teeny-tiny woman was a teeny-tiny bit more frightened, but she put her teeny-tiny head out of the teeny tiny clothes, and said in her loudest teeny-tiny voice..